How to rotate the camera overlooking the top, so that you can not see the boundary of the map, like this here on the screen. Just move the camera closer to the map. If you use "Allow Camera Control - ON", decrease "Camera Distance". This was the first thing I tried. But it seemed that the approach of the camera is not the solution, because the text on the map becomes too large. And besides, the camera always rises to its place, relative to the map, at a distance of 9.998981 units; even if the card is closer to the camera than the camera to the card. The distance of the camera is one of the possible ways. 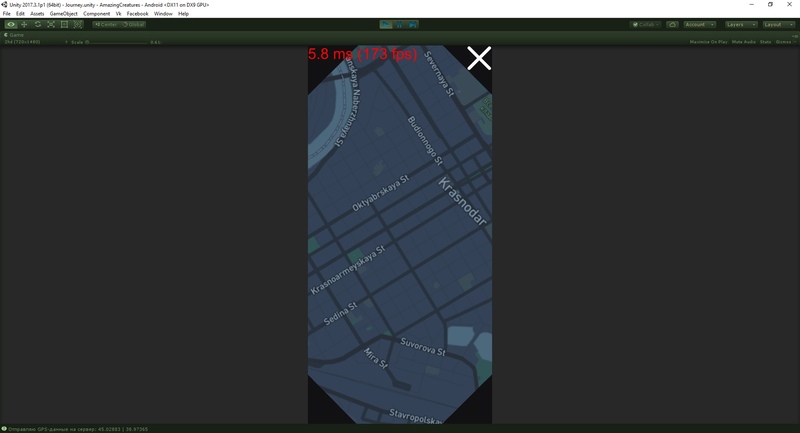 Adjusting the distance (or the size of the map in the scene) and the resolution of the map you can achieve the desired effect.